On December 15, 2016, T-Mobile offered AT&T customers a free year of DirecTV Now if they switched to T-Mobile. Customers had to activate two lines and bring their phone number to T-Mobile, and then received a $35 per month credit, in effect reimbursing them for DirecTV Now. It was a savvy way to piggyback off AT&T's skinny bundle launch. 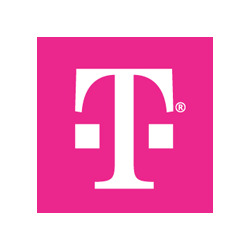 Now, T-Mobile is piggybacking off AT&T's failure. Many sites, including this one, have noted that DirecTV Now has its share of problems. Verge, for example, called it "a complete mess." To make good with any unhappy customers who switched from AT&T for the DirecTV Now promotion, T-Mobile is offering them a free year of Hulu service, which it calls "an awesome streaming service that actually works." Switchers still get their year of DirecTV Now, meaning their monthly credit. Happily, the free year of Hulu won't simply be a credit: T-Mobile says AT&T switchers will get a notification in the coming weeks with a code that can be redeemed for one free year of Hulu service. It's the service tier with commercials, but it's free. T-Mobile notes that its customers stream twice as much video as do customers on other carriers. The company's Binge On feature offers unlimited 480p video streaming for a number of services including DirecTV Now. While mobile video is taking off, it's largely taking off in the home. Operators and phone makers need to make changes for outside-the-home viewing to grow.